Texas hold em is the most popular poker game in the world. Although little is known about the invention of Texas hold em, the Texas State Legislature officially recognizes Robstown, Texas as the game's birthplace, dating the game to the early 1900s. 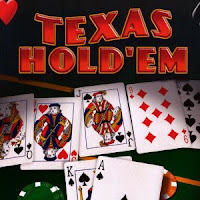 Despite the existence of more than a 100 years, Texas hold em made an explosion in the first decade of the 21st century. Many observers attribute this growth to the synergy of five factors: the invention of online poker, the game's appearance in film and on television, the 2004–05 NHL lockout, the appearance of television commercials advertising online cardrooms, and the 2003 World Series of Poker championship victory by online qualifier Chris Moneymaker. During all this time, game have produced many players who chose it as a profession. This is the story about one of them and his challenge. 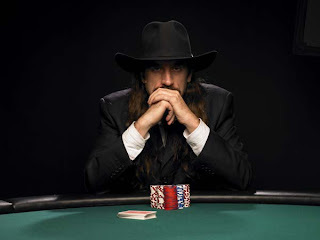 Chris Ferguson is born on April 11, 1963 as a child of parents who have doctoral degrees in mathematics, while his father, Thomas Ferguson, teaches game theory and theoretical probability at UCLA. Ferguson attended UCLA where he earned a Ph.D. in computer science (focusing on virtual network algorithms). He was playing poker before age 10. In college he honed his skill on IRC playing poker for play money in chat rooms. In 1994, he began playing in tournaments in California and in 1995, he entered his first World Series of Poker. Ferguson beat T.J. Cloutier at the main event of the 2000 WSOP to win the $1.5 million prize. After two finals, 2005. and 2006., In 2008 he made the finals for the third time, this time defeating Andy Bloch and winning the title. He has the most wins in the four-year period of the tournament, with an overall match record of 16-3. Ferguson’s nickname is "Jesus" because of his trademark long brown hair and beard. He is a relatively quiet player who often adopts a characteristic motionless pose in situations where he could be "read". 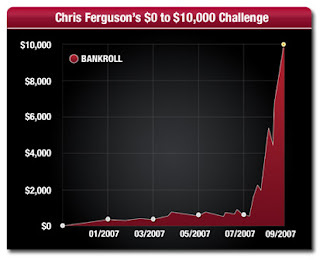 In 2006. he started an usual challenge to make $10.000 from $0. After 16 months, Chris finally achieved his goal and donated his winnings to the Save the Children Foundation. So, how the hell he did it?! He says: “For me, this experiment isn't about the money. It's about showing how, with proper bankroll management, you can start from nothing and move up to the point where you're playing in some pretty big games. I know it's possible because I did it once before, turning $1 into $20,000. 1) I'll never buy into a cash game or a Sit & Go with more than 5 percent of my total bankroll (there is an exception for the lowest limits: I'm allowed to buy into any game with a buy-in of $2.50 or less). 2) I won't buy into a multi-table tournament for more than 2 percent of my total bankroll and I'm allowed to buy into any multi-table tournament that costs $1. Starting with nothing but a Full Tilt Poker account (he helped launching the site in 2004. ), Chris played in Freerolls until he earned enough to graduate to games with real-money buy-ins. Getting started wasn’t easy. In fact, it took more than seven months of steady play until he got his bankroll to stabilize at about $6.50. Undaunted, Chris maintained his discipline and dedication and continued with his challenge. Then, on November 26th, 2006, Chris made a major breakthrough. He turned a $1 tournament buy-in into $104 in prize money when he finished second in a 683-player tournament. Even with that huge bankroll boost, it still took Chris nine more months of hard work to reach $10K. But because he strictly adhered to the bankroll management strategy that he’d set for himself, Chris achieved his goal the following September.